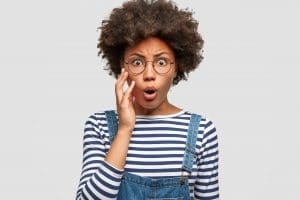 You may have had this experience before: You go into visit your dentist after a long absence and he or she finds a cavity that you didn’t even know was there! This can happen because cavities develop slowly over time. If you continuously miss the same spot while brushing your teeth, a cavity may begin to form. Plus, it’s not easy to see every surface on your teeth. You may not notice a cavity as it starts to develop, but it can still be damaging your tooth. That being said, if you do notice a cavity on one of your teeth, that means you’re long overdue for an appointment and you need to treat it pronto. Cavities are a product of tooth decay. When bacteria has time to aggregate and form plaque on the surfaces of your teeth, it produces acid that wears at your enamel. Over time, this leads to the black spot on your tooth and the loss of tooth structure (if left unchecked). If a cavity has become significant enough that you notice it, that means that it can be causing serious damage to your tooth. Your problem won’t go away until you seek professional treatment from your dentist. Brushing a cavity or using mouthwash won’t resolve the issue. If a cavity has formed on one of your teeth, your dentist has the tools to remove the bacteria and repair the damage. Your dentist will first extract the bacteria from your tooth, leaving a hole. Then, a dental filling (and a crown if the damage is extensive) will replace the missing enamel. Fillings can be made from dental resin — a strong, biocompatible material that matches the appearance of your teeth. This way, your restoration won’t stand out against the rest of your healthy teeth. Holding off on treatment for your cavity will only make the situation worse. If you notice a cavity, or if you simply haven’t had a dental exam and cleaning for some time, make an appointment today! Michael Flynn Dentistry provides custom dental restorations, like crowns and fillings, to help you recover from the damage caused by cavities. To make your appointment for treatment, contact Michael Flynn Dentistry in West Allis, WI at 414-541-8250 today.